In some ways the ponies were subject to “human” in addition to “natural” selection. 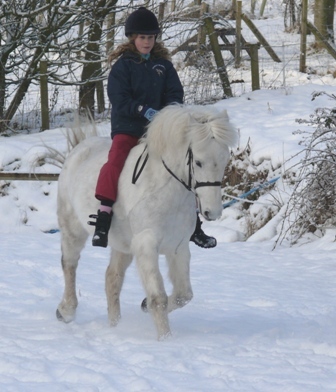 The ponies had evolved to survive on meagre food supplies, with coats, ears and tails well adapted to coping with a harsh, wet and windy climate. Eriskays were then subject to the forces of living in a society where women and children did most of the work while the men were at sea. Poor temperaments could not be tolerated. Only those ponies happy to live in close proximity with their handlers, those willing to be trained and work hard, were retained. Unsuitable specimens were culled. Over the centuries, the Eriskay ponies evolved into the hardy, versatile, people friendly characters we recognise today. You can learn more about this breed from the Eriskay Pony Society.